2015 Ford Focus pricing revealed | What Car? The Ford Focus is the UK’s best-selling family car, and to keep it fresh there is a face-lifted version that's available to order today. The first UK deliveries are expected to start from November 2014. 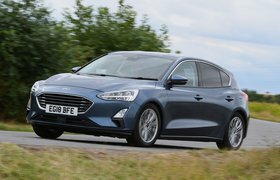 Being a face-lift rather than a complete new model means owners of the current car will find the updated Focus a broadly familiar experience. New styling details include thinner headlights, incorporating daytime running lights that stretch halfway along the top of the lens, flanking a slimmer, trapezoidal front grille. These sit ahead of a more sculpted bonnet. Moving rearward, a redesigned tailgate now incorporates a crease running along its width, alongside smaller tail-lights. Ford has aimed to improve the cabin quality and also dashboard ergonomics with the new model. The latter has been aided by ditching the previous car’s cluttered infotainment system and introducing Sync 2, which uses an eight-inch colour touch-screen and voice activation to control the audio, navigation, climate control and telephone connectivity. The line-up will start with continuation of 1.0-litre Ecoboost petrol engine, with power-outputs of 99bhp and 118bhp. The lower of these two will be the first non-hybrid petrol car in this class to offer CO2 emissions of 99g/km. The previous 1.6-litre petrol engine has been superseded by the European debut of Ford’s new 1.5-litre Ecoboost engine. This engine matches the 180bhp and 270lb ft of pulling power of the outgoing one, while achieving improved fuel economy and lower CO2 emissions of 127g/km. A 148bhp option will also be available. A new 1.5-litre diesel with 94bhp, 104bhp or 118bhp replaces the 104bhp and 113bhp 1.6 TDCi. The 2.0-litre diesel has also been revised, with a modest drop in power to 148bhp. The outgoing Focus was the first Ford to get parallel parking assistance, and the 2014 model will add a self-parking function that can steer the car into bays. Park-Out Assist is also new, which helps with exiting a tight parking space, while Cross Traffic Alert warns drivers of vehicles moving across their reversing line. Also appearing for the first time on the Focus is Ford’s MyKey technology. The system provides a master key, which owners – particularly parents of teenage drivers – can use to set-up useage limitations on the car. These include the vehicle’s maximum speed, the stereo’s volume or its ability to be turned on at all if seatbelts aren’t worn, and removing the ability to disengage safety features like traction control. Once the system is set, a ‘slave’ key will ensure the limits are adhered to and cannot be overridden. A collision-avoidance system, traffic-sign recognition and blind-spot warning, as well as engine stop-start will also be available. Despite the changes, prices for the new Focus start at the same £13,995 for the entry-level Studio model, rising to £21,795 for the Titanium X trim, which represents a £100 reduction on the same trim level from the outgoing car. We expect large discounts to continue to be offered on all Focus models. Check our Target Price section for the latest deals available, but expect dealers to offer discounts approaching the 13% achievable on the previous model. 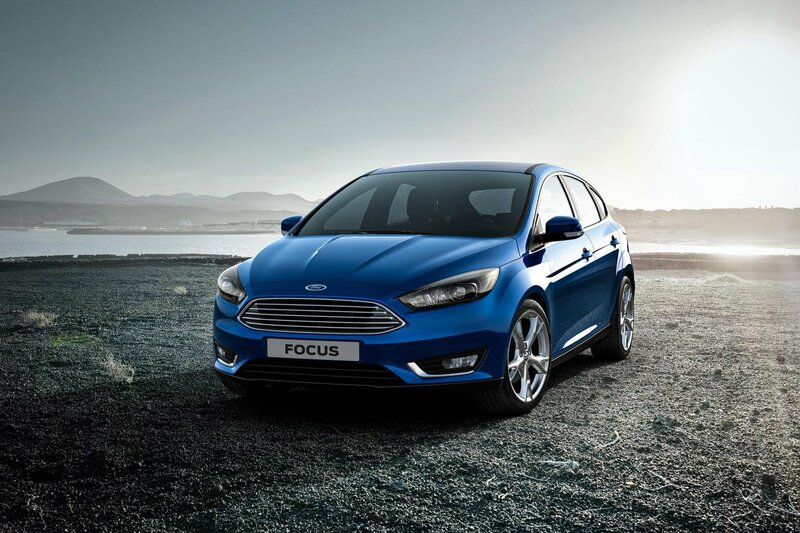 The Focus competes in a hotly contested market segment. Its most obvious rival in terms of price and image would be the Vauxhall Astra, although this is starting to show its age in some ways. The VW Golf has often been perceived as a more premium offering, and the current version offers similar space, but at a higher price. Looking elsewhere, the Skoda Octavia is similarly priced to the Ford but offers a big increase in cabin space, while the Kia Ceed comes with a seven-year warranty, a smart cabin and is cheap to run.